The month of March here in beautiful Tennessee marks the beginning of spring – you can smell it in the air! 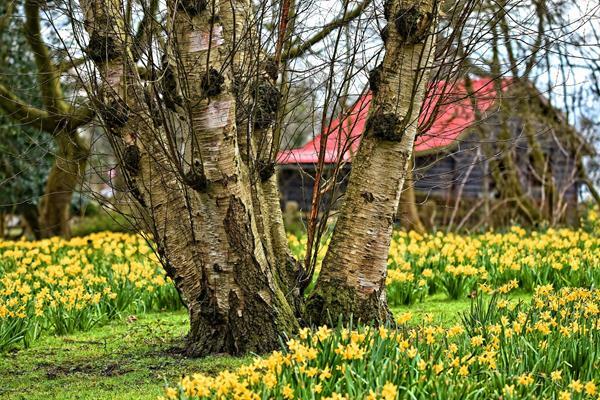 One of the confirming signs, much more reliable than the groundhog Punxsutawney Phil, is seeing daffodils breaking through the hardened soil – searching for the warmth of the sun. You see them in manicured lawns, cow pastures and around old, abandoned barns and homes. They are usually unattended but never ignored, as their beauty inspires anticipation of spring’s soon arrival. God is the most generous being in the universe! He invites us to follow His example and to live generously toward others with our time, attention, talents, resources and our love; to pour out our lives…to pour out blessings. When we do this, the spiritually natural outcome is that our lives will experience blessing heaped upon us to the point that we are “saturated with favor.” Amazing! “The lovers of God rise up like flowers in the spring.” Be encouraged, and live a generous life! As you begin to notice the early signs of spring, be reminded of God’s generosity and the favor that is ours when we follow in His footsteps. A February team of 17 people returned to Nepal to work alongside our international partner, The Apple of Gods Eyes (AOGE). This is the fourth year in a row – following the tragic earthquake of April 2015 – that Hope Force International (HFI) has sent teams. Healthcare professionals, tradesmen and support personnel provided medical attention, built a needed gathering place and assisted with the construction of staff housing. However, the most impactful takeaway was experiencing the restorative and redemptive work of Jesus in the lives of young people – snatched from the hellhole of human trafficking. AOGE provides a safe, nurturing family for these young lives to receive and absorb the love of the Father that transforms their lives. Time and time again, team members observe the wholeness and health of young girls impacted by the Good News – a life-changing thing to witness. As Silvio Silva, Co-Director of AOGE, says, “The work we do when you’re here is just an excuse to share our love and lives as we do good works together.” Yes, it is important to get as much done as possible while we are there, but what makes it so meaningful is to become “family” with people who have endured so much – and yet have such obvious joy and wholeness. It is likely that HFI will likely return to Nepal again in February 2020 with a team. We still very much love and respect the ministry of AOGE and are grateful for the privilege of joining God in such an incredible work of grace. If you’re interested in returning with us, please contact us at: info@hopeforce.org and stay tuned for more information to come. Puerto Rico continues its struggle to recover from the impact of Hurricane Maria. Countless individuals and families have not yet been able to restore and move back into their damaged homes. In many cases, destroyed or compromised roofs must first be repaired or replaced before work on the inside can begin. Hope Force International (HFI) has sent multiple teams to the island since the early aftermath of Maria, with a primary work objective to replace metal roofs. While undertaking this vital endeavor, we also serve to remind survivors that God and His people have not abandoned or forgotten them. The “ministry of presence” – just being there and coming alongside people – inspires hope for tomorrow. HFI is fortunate to have partners on location, working with others to identify the vulnerable – whom without help, will continue to languish in uncertainty and hopelessness. Will you prayerfully consider joining the next team to Puerto Rico, June 9-15, putting your love of God into compassionate action? As you pour your life out to bless others, your expression of generosity will effect change in the hearts and homes of people who by now are surely feeling forgotten and hopeless. If you can’t go, please pray and give…and help to make this opportunity known to those in your circle of influence. Thank you! The video below of HFI's Puerto Rico team coordinators, David & Nancy, was created to remind us of the ongoing need for help as we approached the one-year commemoration of Hurricane Maria last year. We thought it was appropriate to show it, yet again, as a reminder of the unmet need – and to ask for prayer, donations and/or hands-on participation. In late February, many parts of Tennessee were inundated with floodwaters that, in many instances, have yet to recede. Many survivors find themselves struggling to recover and in the shadows – with little or no acknowledgment of their plight from the media. Hope Force International (HFI) has deployed teams into the Knoxville area and remains vigilant – actively seeking people and funding to assist in future relief efforts. If you can volunteer to help, please contact info@hopeforce.org. Lumberton, NC is a familiar destination for Hope Force International. When Hurricane Matthew brought devastating flooding to this city in 2016, HFI responded – forming deep and lasting relationships with civic and church leaders in this hard-hit city. HFI looks forward to investing in those relationships again as we assist with rebuilding efforts. HFI will be partnering with a United Methodist Committee on Relief (UMCOR) team in Lumberton May 5th - 11th & May 12th - 18th, tackling rebuilding projects together in communities hardest hit by more recent floods. If you are interested in joining the Lumberton team, please contact info@hopeforce.org. Nebraska floods: We're all aware of the severe flooding throughout the midwest. Our thoughts and prayers are with the survivors of this historic disaster event. As waters recede, the need for assistance will be a welcomed relief. Please stay tuned as Hope Force International explores ways in which we can bring help and hope. Sometimes when we respond in such tragic situations – as our team did in Lee County, Alabama shortly after a devastating tornado took 23 lives – you never know the full impact of your service. When we arrive, people are trying to make sense of what just happened, and they are often overwhelmed and distraught. This is exactly what our team found as they put their love of God into compassionate and practical action when they served a survivor couple. Please continue to pray for the Alabama tornado survivors, that they will recover practically, emotionally and spiritually – especially knowing that God loves them and that they are not alone. Expanding our Mexico HFI Family! The momentum continues, as we have just been asked to bring our HFI Reservist training back to Mexico in August! We recognize that a well-equipped cadre of Reservists in Mexico will increase HFI’s capacity to respond nationwide, in the Caribbean Basin and throughout Central & South America. We will be in a much stronger position to respond to disasters, such as Mexico's recent earthquakes. However, we have a challenge: the actual, fixed cost of our training constitutes a significant hurdle. We recognize this as an amazing opportunity to extend the response capacity of HFI in our own hemisphere…and around the world. The nation of Mexico has made significant economic advances in the last 25 years -- yet most still struggle to provide for the basic needs of their families. In recognition of this reality, we are compelled to offer our valuable disaster response training intensive in Mexico at a price significantly below our actual costs so that many can become equipped to serve. Would you consider making a donation to help equip and empower even more followers of Jesus in Mexico to effectively and compassionately respond to disasters? A gift of any size and your ongoing prayers would be deeply appreciated. 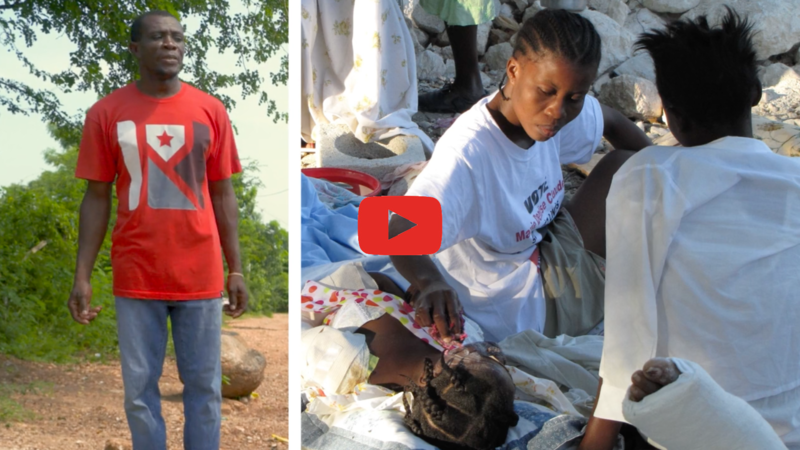 Watch TBN Video of Hope Force International in Haiti! We want to thank the Trinity Broadcasting Network (TBN) for allowing us to share this short segment about Hope Force International and our work in Haiti. A film crew joined us on location to conduct interviews and to meet some of the people of Sous Savanne firsthand. We’re grateful for the excellent job they did in capturing the essence and heart of the ministry! Please be in prayer for Haiti, that God would heal the land and mend its fractures (Psalm 60:2). Pray for our HFI in-country coordinators, Rene and Marianne Lako, and the work of Hope Force as we seek to navigate these troubling times in a way that rightly reflects the heart of God to those we serve. 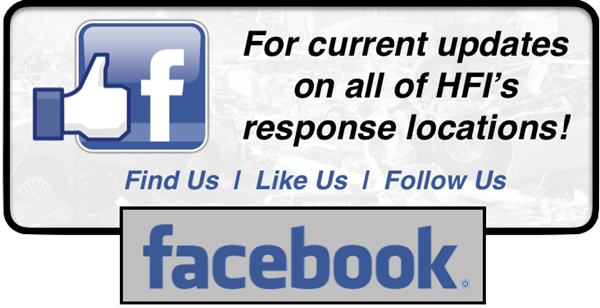 CLICK HERE for more information on HFI's Disaster Responder Training Intensive and/or to register.